Las Vegas, NV, USA - January 11, 2019 - After four days of demonstrating the bright future made possible by technology, CES 2019 came to a close today. More than 4,500 exhibitors showcased the latest tech innovations to some 180,000 attendees across more than 2.9 million net square feet of exhibit space in Las Vegas. From global brands to visionary startups, these companies set the world abuzz with the promise of technology. "Advertising without trust is just noise. Without trust, we have nothing as a business." - Keith Weed, CMO, Unilever at CES 2019. After four days of demonstrating the bright future made possible by technology, CES® 2019 came to a close today. More than 4,500 exhibitors showcased the latest tech innovations to some 180,000 attendees across more than 2.9 million net square feet of exhibit space in Las Vegas. "Technology is core to our competitive advantage as marketers." - Michelle Peluso, SVP & CMO, IBM at CES 2019. From global brands to visionary startups, these companies set the world abuzz with the promise of technology. Gary Shapiro, president and CEO, CTA. "CES showcases the power of innovation to solve global problems and improve lives around the world,” said Gary Shapiro, president and CEO, Consumer Technology Association (CTA). CTA Executive Vice President Karen Chupka takes the keynote stage at CES 2019. “Every business must now embrace technology to succeed,” said Karen Chupka, executive vice president, CES. AMD President and Chief Executive Officer Dr. Lisa Su delivers a keynote address at CES 2019, AMD's first appearance as a keynote speaker a CES. CTA President and CEO Gary Shapiro. CTA released its 2019 International Innovation Scorecard grading countries on how well they support innovation, and announced it will invest $10 million in venture firms and funds focused on women, people of color and other underrepresented startups and entrepreneurs. 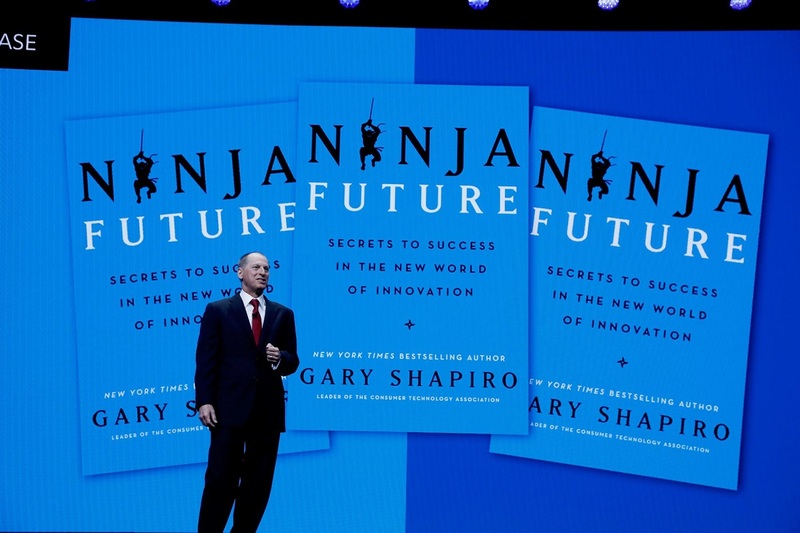 CTA President and CEO Gary Shapiro discusses his new book "Ninja Future" with Liz Claman of Fox Business at CES 2019. CTA also released its newest book, Ninja Future, exploring the skills needed to remain competitive in the rapidly-changing future. Get your copy of CTA Tech's new book Ninja Future signed by Gary Shapiro at the CTA Center in the Grand Lobby. CES is the only show where the entire 5G ecosystem – the backbone for transportation, virtual reality, sports technology and digital health – comes together. Verizon CEO Hans Vestberg delivers a keynote address at CES 2019. “5G will change everything – 5G is the promise of so much more than what we have seen from wireless technology,” said Hans Vestberg, CEO, Verizon, during his keynote. AT&T Communications CEO, John Donovan and MediaLink Chairman and CEO, Michael Kassan, kick off the New Frontiers in Mobile keynote at CES 2019. Fellow keynoter John Donovan, CEO of AT&T Communications, discussed the company’s recent launch of its 5G Evolution network. Gary Shapiro welcomes Ginni Rometty, President and CEO of IBM, to the keynote stage. CES 2019 showed artificial intelligence will influence every aspect of our lives. IBM Unveils World’s First Integrated Quantum Computing System for Commercial Use. Ginni Rometty, president and chairman, IBM during her opening at CES 2019. 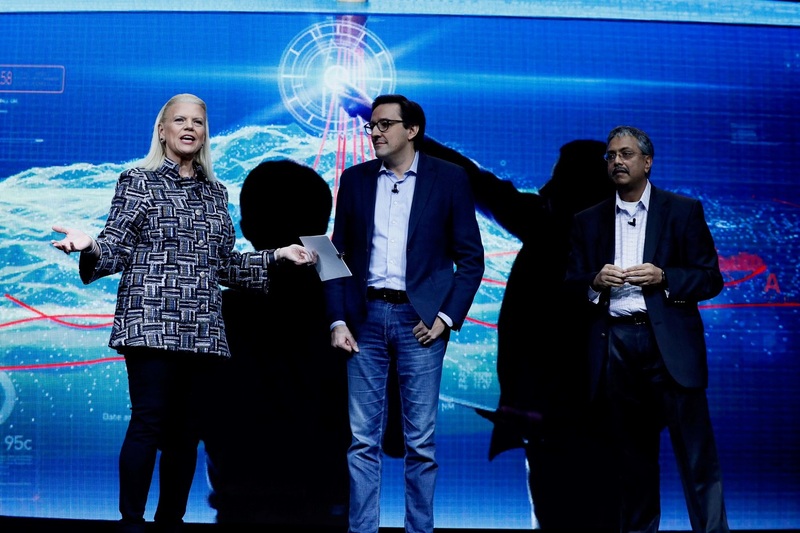 IBM Chairman, President and CEO Ginni Rometty’s opening keynote explored how AI will prove data is the “world’s greatest natural resource,” enabling revolutions from smart cities to health care, transportation to robotics. Dr. Vijay Swarup of Exxon Mobil joined the stage to announce their partnership with IBM to further innovations in Quantum computing and energy solutions. During Rometty’s keynote, Delta CEO Ed Bastian and Walmart EVP of Food Charles Redfield shared examples of AI and blockchain technology in their businesses. Flying taxis aren't just science-fiction anymore. Bell Flight shows off their Nexus flying taxi at CES 2019. 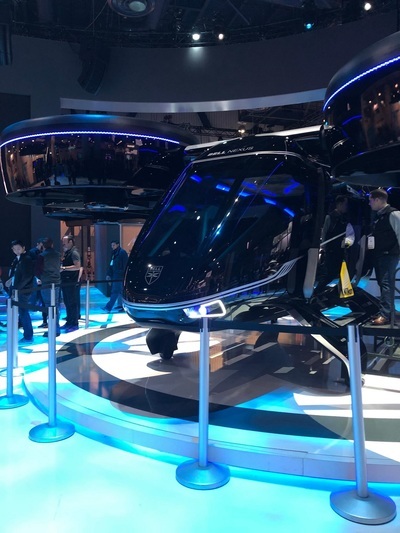 CES 2019 was a turbo-charged mobility show, with 11 of the world’s leading car manufacturers highlighting the future of transportation – including an air taxi from Bell Helicopter and an electric motorcycle from Harley-Davidson. Self-driving technology will save lives, enable greater accessibility and improve productivity. The CES Sports Zone showcased the entire sports tech ecosystem – innovations in smart venues, training, virtual and augmented reality and esports creating immersive content that will change the way we play, watch and experience sports. At CES 2019, Twitter CEO Jack Dorsey and NBA Commissioner Adam Silver discuss the NBA's approach to sports technology and the flourishing NBA Twitter community. Twitter CEO Jack Dorsey and NBA Commissioner Adam Silver discussed how their partnership proves social media can promote fan engagement, and the Gamespot eSports truck featured 10 gaming kiosks for both professional gamers and attendees to showcase their skills. 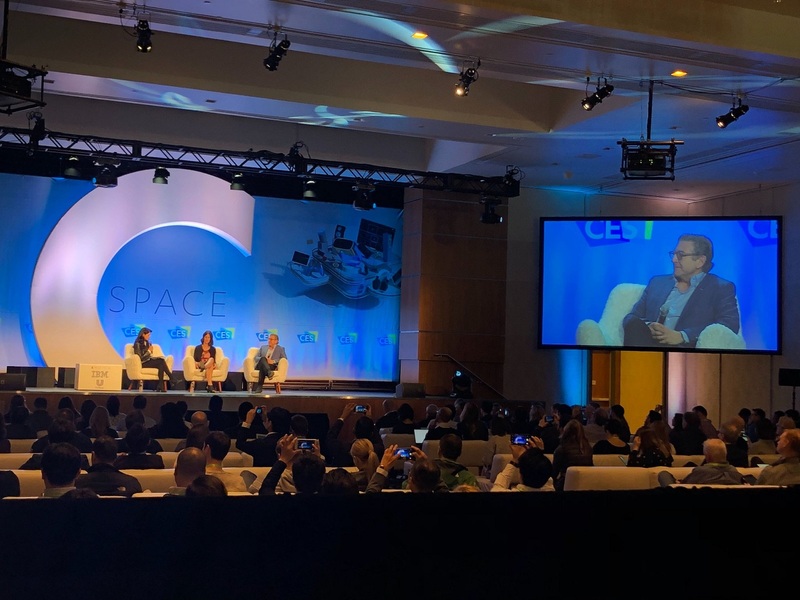 Moderated by NewCo's EIC and CEO, John Battelle, P&G’s Chief Brand Officer, Marc Pritchard and Kathy Fish, P&G’s Chief R&D and Innovation Officer discuss how P&G is leading disruption and reinventing the consumer experience during C Space Storyteller session. 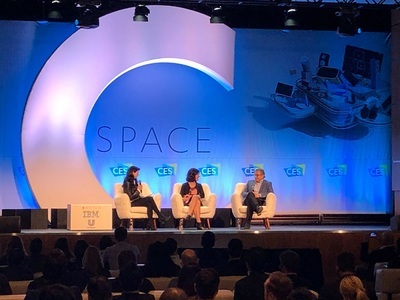 C Space brought together content creators, Hollywood, the advertising industry, media and leading CMOs – such as Proctor & Gamble’s Marc Pritchard, IBM’s Michelle Peluso, Unilever’s Keith Weed – to explore the future of brand marketing and entertainment. Exhibits and conference sessions explored the effect of AI on marketing and consumer engagement, mobile and over-the-top video, and content consumption. Engadget editors present winners of Best of CES Awards at CES 2019, recognizing outstanding innovation and unexpected tech. The Impossible Burger 2.0 won the Best of the Best Award at The Best of CES, presented by Engadget. This year Eureka Park – which has launched successful companies including Ring, Benjilock and LifeFuels – included a pitch competition, sponsored by the Consumer Technology Association Foundation and AARP. Digital health technologies were a major theme, and attendees experienced the latest advances and trends in health care. IBM Research: How Tiny Fingernail Sensors and AI Can Help Clinicians to Monitor Health and Disease Progression. Over 260 doctors and other health professionals attended the Disruptive Innovations in Health Care conference, which offered Continuing Medical Education (CME) credits at CES for the first time. Resilient technologies will keep the world healthy, safe, warm, powered, fed and secure. Attendees demo the latest in sleep technology at CES 2019. Sustainable technologies from companies including YOLK and Zero Mass Water will produce efficient energy solutions and help provide drinking water to developing nations, while reducing the global carbon footprint. LG keynote at CES 2019. Others like Higher Ground Technologies keep us connected anywhere in the world.